Once referred to as “a master of the mix,” Christian Marclay has formed a career around collage, as both a form and a concept, since the late 1970s. He merges and blurs the lines between music and art with a range of mediums, including vinyl records, album covers, sculpture, photography, installation, works on paper, and video. Born in San Rafael, California in 1955 and raised in Geneva, Switzerland, Marclay now lives in London and New York. Early on he was involved in various music projects and eventually embraced the raw energy of punk rock and performance art as a teenager. He studied art at the School of Visual Art (now the Geneva University of Art and Design) from 1975 to 1977 and continued his education in the United States, primarily at the Massachusetts College of Art (now the Massachusetts College of Art and Design), earning his BFA in 1980. Since then Marclay has had solo exhibitions at Sapporo Art Museum, Japan (2017); Palais de Tokyo, Paris (2012); Whitney Museum of American Art, New York (2010); MoMA PS1, New York (2009); Musée d’Art Moderne et Contemporain, Geneva (2008); Moderna Museet, Stockholm (2006); Barbican Art Gallery, London (2005); and Tate Modern, London (2004). Selected group exhibitions include those at the Institute of Contemporary Art, Boston (2016); Museu d’Art Contemporani de Barcelona (2016); Fondazione Prada, Venice (2014); Hirschhorn Museum and Sculpture Garden, Washington, DC (2013); The Menil Collection, Houston (2012); and Hayward Gallery, London (2011). Marclay has “always thought of music as something close to performance art. There is a visual element when performing in front of an audience.” While a student in the late 1970s, Marclay emerged as a pioneering turntablist, performing while deejaying and often collaborating with musicians like John Zorn and Sonic Youth. In the early 1980s, he could be seen surrounded by turntables, playing cheap thrift store records with objects attached to them. His Recycled Records series (1980–86) followed and showcased hybrid objects made from sliced and reassembled vinyl records. Marclay would play them on turntables to produce music with skips and shifts in tone, rhythm, and melody from the areas stitched together. For the Body Mix series (1991–92), he formed mutant figures by adhering disparate album covers displaying human bodies. In one work, Tina Turner’s legs descend from the torso of a Deutsche Grammaphon conductor. Marclay continued to transform sounds, music, and their various technologies into visible, physical forms that often are as humorous as they are fantastic. For instance, he created a twelve-foot-long accordion (Accordion, 1995) displayed in the window of a store selling musical instruments, the Alamo Music Center in San Antonio, Texas. Marclay also exhibited Drums (1995), a drum set with cymbals and drums positioned at varying heights (up to thirteen-and-a-half feet) that correspond to their tonal qualities. Marclay began to pursue video art in the 1990s to investigate the roles sound and music play in culture and especially their relation to the image. He gained great attention for such work in 2000 with Guitar Drag. The fourteen-minute video follows the journey of a Fender Stratocaster tied by a rope to the back of a pick-up truck and dragged along rough country roads in Texas. Guitar Drag speaks to Marclay’s interest in the performance of new sounds as well as rock guitarists’ practice of destroying their instruments during concerts. On another level, however, the work is a haunting response to the 1998 lynching of James Byrd Jr., a black man who was dragged to his death behind a truck driven by three white supremacists in Jasper, Texas. Marclay achieved great critical and popular acclaim with Video Quartet (2002), a four-screen visual and sonic collage of more than 700 movie clips with actors and musicians making sound or playing instruments. The various players sing, dance, and play horns, violins, and keyboards as well as various noisy objects, such as a spinning roulette wheel. Together the fragmented parts create a musical symphony and a mashup of the history of music in film and film in music. The Clock (2010), arguably Marclay’s masterpiece, is also made from thousands of edited film fragments that make up a 24-hour, single-channel video installation that examines cinematic representations of time and duration while also functioning as a timepiece. Clips from scenes that express time by clocks, watches, or speech are strung together chronologically and synchronized to the local time zone. At least one excerpt plays every minute of the day, sweeping the viewer in and out of an array of plots and places, while she is continually reminded of her own moment in time. A tour de force, The Clock won Marclay the Golden Lion Award at the 49th Venice Biennale in 2011. 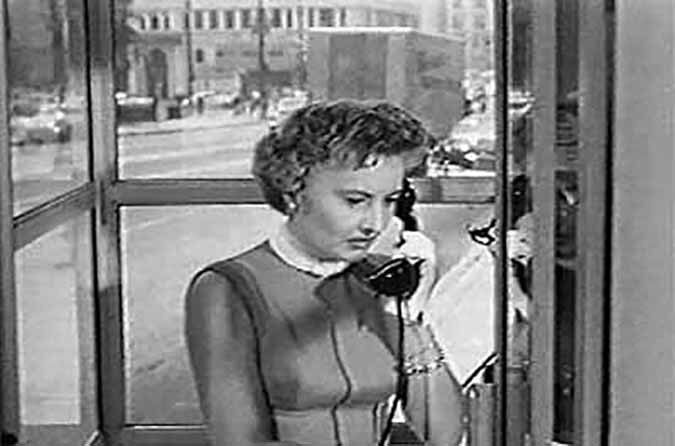 One of his early forays into edited film sequences, Telephones (1995), is an artful assemblage of clips from Hollywood films that feature characters using telephones. Marclay stitched together the shots to create a seven-minute stuttering conversation between numerous actors across times and places. They dial numbers, then answer, listen, converse, say goodbyes, and hang up to form the beginning, middle, and end of their disjointed communication.